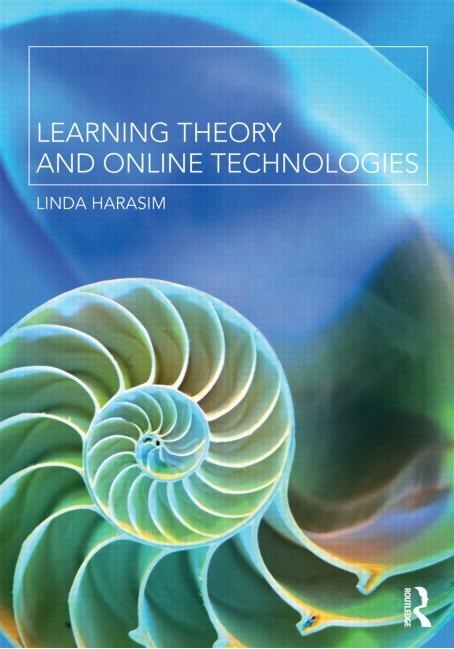 Linda Harasim is one of the pioneers of online learning and this book brings together theory and more than 20 years of experience in online teaching. Learning Theory and Online Technologies offers a powerful overview of the current state of e-learning, a foundation of its historical roots and growth, and a framework for distinguishing among the major approaches to e-learning. It effectively addresses pedagogy (how to design an effective online environment for learning), evaluation (how to know that students are learning), and history (how past research can guide successful online teaching and learning outcomes). Introduction to learning theory and technology, which examines different epistemologies, particularly objectivism and constructivism, and the historical links between technology and learning. Three major theories of learning and technology from the 20th century: behaviorism; cognitivism and constructivism. Harasim provides a comprehensive overview of these theories and links them clearly to developments in computer-based learning. Online collaborative learning: a theory of learning for the 21st century, which is proposed as ‘a new theory of learning that focuses on collaborative learning, knowledge building, and Internet use as a means to reshape formal, non-formal and informal education for the Knowledge Age.’ Three chapters cover the theory itself, its practice, and cases of institutional innovation based on online collaborative learning. There is lastly a chapter on scenarios for online communities of practice. Conclusion, which is basically a short summary of the preceding chapters. This book is essential reading for anyone teaching online, especially those with no background in educational theory. The psychologist, Kurt Lewin, once said: ‘There is nothing so practical as a good theory.’ This holds true particularly when entering a new field of activity, such as online learning. Theories are like a torch or a map which can help you through difficult and unexplored terrain. However, Harasim goes one step further and proposes a new learning theory that fits the needs of a knowledge society, a theory based on online collaboration and knowledge construction. ‘Despite the rise of the Internet in the real world, teachers are reluctant to adopt it in the educational world…but the solution is not to advocate educational adoption of the Internet without a theory or strategy to guide the pedagogical transformations required’ (pp. 82-83). You will need to study this yourself to see if you are convinced that this is essentially a new theory, or is just a specific application of constructivism. In a sense though that is an issue for professors of education. What is valuable for practicing teachers is that Harasim offers an approach to teaching online that is distinctly different from moving a face-to-face classroom online, and is also different from an up-front, instructionally designed course. Her theory also emphasises the importance of teachers in ensuring that knowledge is constructed and advanced, and that the language and fundamentals of a discipline are learned and applied. The theory is supported by examples and cases, although personally I would like to have seen more empirically-based evidence that linked the practical applications of the theory to measurable learning outcomes or qualitative changes in how students learned, or whatever measure of success that would be appropriate for testing the theory. It should be noted that there is no discussion of other theories of networked learning, such as connectivism, which is a pity. It would be have been fun to see Linda Harasim critiquing George Siemens (and vice versa) but I am sure this will come. (Linda and George: please feel free to use this collaborative learning space as a boxing ring). Lastly, theories are neat but life is messy. I’m not sure that teachers should be or are willing to limit themselves to one theoretical approach. Although I am a constructivist by inclination, there have been moments in my teaching when a strictly behaviourist approach has been clearly the best solution. (Arguing with two fighting seven year olds in the back seat of a car when I am trying to find the right exit from the Oakland freeway is not my preferred strategy). The online collaborative learning approach starts with idea generation, but where do the ideas originate? I also don’t accept that all learning (or at least all meaningful learning) is necessarily collaborative or social; it is usually a mix of individual and social activity, and each seem to me to be equally important. Nevertheless these are quibbles on my part. This book is well written, easy to read, and we need good theory to support our teaching decisions. This book offers an important contribution to the debate on online teaching and I highly recommend it. Good to read an informed book review. I agree with colonialist that the eclectic approach has its merits. Also a real shame that this author didn’t mention connectivism but it gives a real idea about how challenging it is to come up with a theory and get some traction in some areas.